Get access to all three 2017 webinar recordings at a discounted price! These workshops will be delivered as a video recording. Internet access is required to view the recordings. Soul’s Body: Healing the Body/Psyche/Soul Split through Conscious Embodiment (90 min): The Body/Psyche/Soul split is the result of wounding experiences such as abuse, neglect, or a lack of cherishing and witnessing, where one loses a sense of well-being in the body/psyche. This 90-minute workshop explores the Body/Psyche/Soul split, how it manifests somatically, and how to use conscious embodiment for healing. Alchemy: Body & Soul in Transition (60 min): Alchemy is most often understood as a primitive scientific attempt to create elemental gold, yet alchemy also sought the ‘inner gold’. So too, modern psychotherapy has the capacity to transform prima materia, the unwanted material of everyday life, into something meaningful, thus helping us find the ‘gold’ in the shadow. 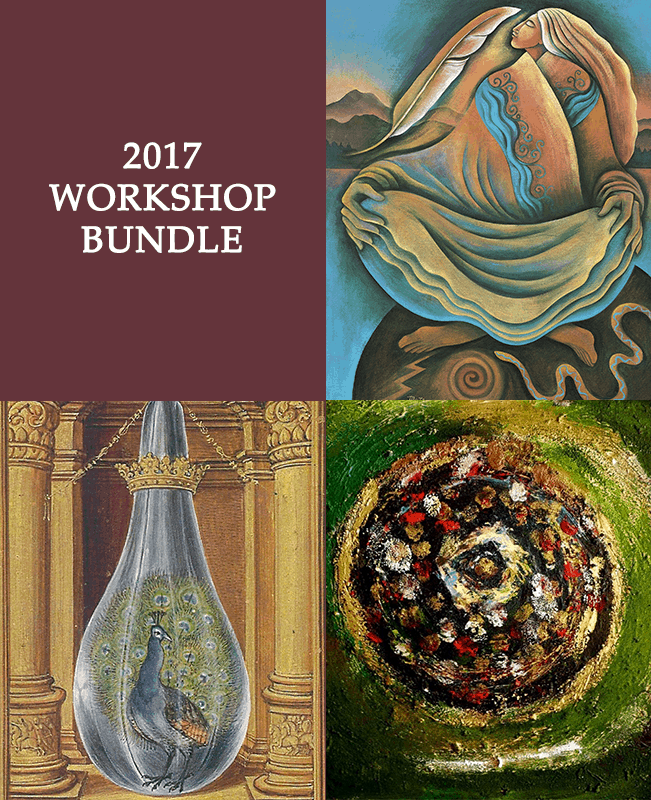 Through images from a painter’s journey, this 60-minute workshop follows the alchemical process from life’s earliest beginnings, through the stages of growth, death, dismemberment, despair and new life.